First Responders Foundation Participating in Omaha Gives! 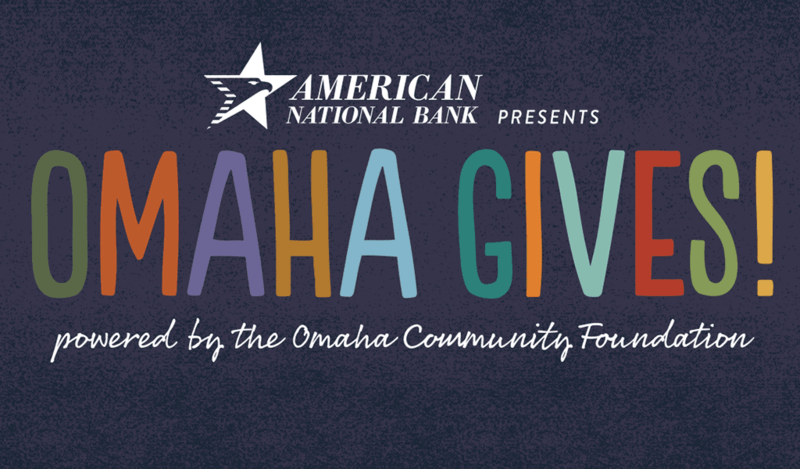 The First Responders Foundation is excited to be participating in Omaha Gives, a 24-hour online giving event organized by the Omaha Community Foundation to grow philanthropy and inspire the community to come together to contribute as many charitable dollars as possible within the allotted time to support the work of local nonprofit organizations. Please consider a donation of $10 or more to help us thank Omaha’s first responders by providing materials and equipment and funding other initiatives that support the police and fire departments. We work directly with each chief to fulfill wish lists and prioritize resources so your donation goes where it is needed most. Omaha Gives culminates on May 25, 2016, but you can schedule your donation now. Every donation is important and helps increase our chances of taking home extra incentives such as participation prizes and hourly giveaways. Thank you for supporting Omaha’s first responders! First responders embody the very definition of heroism by putting their lives on the line for us each and every day. Police officers and firefighters are the first people on the scene when an emergency strikes. These brave men and women run towards dangerous situations to save and protect the people of our community. Do you have a police officer or firefighter in your family or circle of friends that you admire for their dedication and want to thank for their service? Has your life been touched or saved by a first responder? Participate in our #ThankAHero campaign by nominating a first responder to be publicly thanked on our website and social media during the month of May! We will be sharing nominations in conjunction with Omaha Gives, telling your stories, and thanking these real heroes for making a difference every day. You can help spread our message and inform others about the work that we are doing to help our local first responders by sharing our Omaha Gives Facebook posts and tweets! Officers Tony Jones and Doug Johnson came on the Omaha Police Department together 13 years ago. I didn’t always want to be a police officer, but I did want to do my part to help my city. I enjoy the diversity of the people I work with and serve. I looks forward to coming to work, and being a police officer allows me to help those that need help and guide those that need guidance. It is not always about arresting people. It was always a lifelong dream of mine to become a police officer. I love coming to a job that never gets stale and never gets boring. This job provides me the opportunity to talk to a lot of people and experience a wide selection of personalities in Omaha. Support us during #OmahaGives by making a donation between now and May 20 and support officers like Tony and Doug. I became a police officer because I grew up in a family of officers (dad, uncle and cousins) and learned to respect public service at a very young age. I believe in helping others and protecting those who cannot protect themselves. It is an incredible feeling to make a difference in someone’s life, or to see to it a predator is taken off of the street. I believe in helping others and protecting those who cannot protect themselves. Support us during #OmahaGives by making a donation between now and May 20 and support officers like Steve. I grew up reading Nancy Drew books, my grandfather’s true crime novels, and watching Charlie’s Angels. How could I not want to be a police officer? I don’t sit still for very long, so I knew I needed a job that was different everyday. You can’t ask for a more varied job than a police officer. Now, after 21 years on the Omaha Police Department, this job is so much more than solving mysteries and arresting people. Some of my more rewarding times are when kids send me cards of appreciation when I work with them. They are always so happy and so grateful. Every day I am able to leave at the end of my shift and say that I have helped out my community and the people in it in some way. Whether it is talking to a child in a bad situation or finding leads in a crime, there isn’t a day that goes by when I don’t feel like I was able to help someone in someway. This career is extremely intrinsically rewarding and I look forward to coming to work everyday to see what lies ahead. Every day I am able to leave at the end of my shift and say that I have helped out my community and the people in it in some way. Support us during #OmahaGives by making a donation between now and May 20 and support officers like Shayna. I’d wanted to be a police officer since I was about five years old. I was never the girl playing with Barbies. I was always out in the backyard playing “cops and robbers” with the boys. When my desk job as a financial representative became too routine, I decided to follow my childhood dream and haven’t looked back since. No two shifts are ever the same! I was never the girl playing with Barbies. I was always out in the backyard playing “cops and robbers” with the boys. Support us during #OmahaGives by making a donation between now and May 20 and support officers like Jordan. Being a police officer was never really a career that I had given much consideration to. It always looked like an interesting line of work, but I didn’t know that much about it; that was until I got married. When I met my wife, I remember how proud she was of her dad who was an Omaha police officer for 29 years. She always held him in the highest regard not only as a father, but also as an officer of the law. Her grandfather had also been on the Omaha Police Department, working his way up through the ranks to become what at the time was the position of safety chief, which to my understanding, was a liaison position between the mayor and the chiefs office. On top of that, she had two uncles that had worked for OPD and one who was a deputy for Douglas County. As you can see, I was quickly inundated with the influences of law enforcement. It didn’t take long before the family’s persuasion had sparked an interest in me for a career with the Omaha Police Department. I was encouraged to participate in the next round of testing for applicants, where I was able to secure a position in the academy. Still a little unsure of what I was getting myself into, I pushed forward with my decision. I found out that being a police officer can be one of the most rewarding careers there is. I get to help people who are in need of assistance. I have an opportunity to interact with the community in ways that I would have never imagined. I also get to work with some of the most dedicated professionals, who take great pride in performing their duties. It is my hope that not just some day, but every day, I make my wife and kids as proud of me as my wife has always been of her dad. I found out that being a police officer can be one of the most rewarding careers there is. I get to help people who are in need of assistance. I have an opportunity to interact with the community in ways that I would have never imagined. Support us during #OmahaGives by making a donation between now and May 20 and support firefighters like Matt. My name is Chad Wiebers and I have been an officer with the Omaha Police Department for 3 years. Prior to becoming a police officer I was in the United States Army for 12 years as a military police officer and had two deployments to Iraq. At a young age I looked up to police officers and looked at them as people I knew I could run to if I was ever in trouble or scared and I wanted to be that kind of a person when I grew up. But I was actually able to experience truly helping someone when I was on one of my deployments, which completely sealed the deal on knowing what I wanted to do when I grew up. The mission I had overseas was to be a police officer for the Iraqi citizens. Part of that was to meet the locals, talk with them, and show them that we were there to help. The area I was deployed to was very poor and most homes were tents or mud-walled buildings. Over time, my squad and I were able to meet a lot of Iraqi citizens and gain wonderful friendships with many of their families. It was very common for us to sit in their homes and drink chai tea with them (we would call it “no sleep” due to the amount of sugar they would put in it). As time came for my unit to return home from our deployment we began going around to say goodbye to all the locals. As we were saying our goodbyes the tears and hugs coming from the families were as hard to walk away from as the tears and hugs from my family back home. Fathers, mothers and children would hold onto my leg as I was walking back to my vehicle and I would have to pry their arms away and have their other family members hold them back as we drove away. One little girl, who was about three years old and reminded me of my daughter back home, held onto my neck and me to her for about 10 minutes and we both shared the tears of goodbye. Although I will never see any of those Iraqi families again, I surely will never forget them. I could feel how much they wanted us there and needed us their to defend them and to scare away the bad people. I knew that I wanted to do the same thing in my country as I did there. I want to protect people from the bad people. I want to help people become better. I want to help make the place I call home, like everyone else, a safe place for our children to grow and live. That is why I became a police officer. I want to protect people from the bad people. I want to help people become better. I want to help make the place I call home, like everyone else, a safe place for our children to grow and live. That is why I became a police officer. Support us during #OmahaGives by making a donation between May 1-20 and support officers like Chad. I wanted to have a job that would be interesting and fun. I wanted a job that I could meet fun and interesting people on and off the job. I have found that job. Firefighting can be dangerous job, but with the proper training it can be a rewarding job. Recently, fellow crew members and I assisted a 10-year-old girl out of a tree. My friends tease me about getting cats out of trees. I have never done that. I have, however, rescued a small child out of a tree. I also enjoy helping sick and injured people, inspecting buildings, and going to schools to give fire safety talks to the kids who in turn take the information and share it with their families. I feel that the Fire Dept. is making a difference in helping people in this city and I am part of that. I love my job. My friends tease me about getting cats out of trees. I have never done that. I have, however, rescued a small child out of a tree. Support us during #OmahaGives by making a donation between now and May 20 and support firefighters like Tony. We first landed in Lincoln and lived there for about 4 months. My dad needed to work to support my family that was left in Vietnam so we moved to Omaha for him to find a job. When we came to Omaha, we were on assistance. I did not speak a word of English. I was enrolled in the ESL (English as Second Language) program with OPS. It took me a little more than 4 years to finally test out of the program. What better way to serve a community that had given me so much than to became a firefighter? I started to pursuit my dream of being a firefighter ever since I was a sophomore in high school. I was hire on Lincoln Fire Dept. right out of high school. Two years later I was hired on Omaha Fire. What better way to serve a community that had given me so much than to became a firefighter? Support us during #OmahaGives by making a donation between now and May 20 and support firefighters like Hien. My name is Kathy Bossman, and I am a Battalion Chief with the Omaha Fire Department. I began my career with the Omaha Fire Department in 1997. My interest in becoming an Omaha Firefighter began when I was completing training to become a Paramedic. As part of my Paramedic training, I rode along with the Omaha Fire Department Medic Units and was able to see first-hand the work that firefighters do. I could see the role they play in mitigating various emergencies, whether they are extinguishing a building fire, or caring for an elderly person with chest pain. I recognized how a firefighter’s work can have a positive, lasting impact on someone that is potentially having the worst day of his or her life. I was captivated by the challenges that firefighters face on a daily basis, and how they work together to overcome those challenges. It was then that I decided I wanted to be part of a team that makes a difference in our Community. I was captivated by the challenges that firefighters face on a daily basis, and how they work together to overcome those challenges. Support us during #OmahaGives by making a donation between now and May 20 and support firefighters like Kathy.